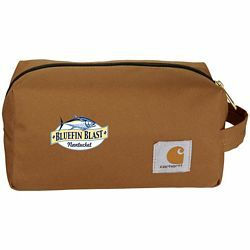 Promotional tool bags are some of the most useful and functional products that can be gifted to your customers. People need to store their tool equipment in an organized manner so they can have easy access to all the tools whenever required. 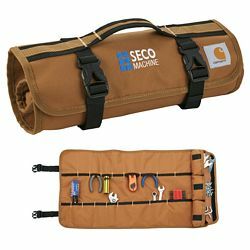 They also need a strong and sturdy storage bag that can carry the heavy iron and metal tools without any risk of damage to either of the products. 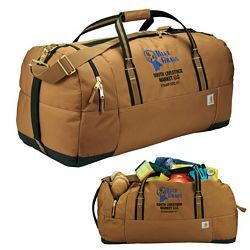 The promotional tool duffel bags are the most generously sized bags in this advertising category. 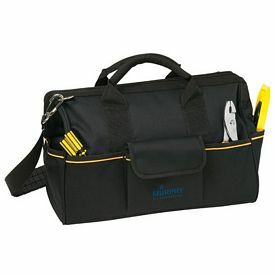 The interior base of the logo tool bag is appropriately padded to prevent tearing. 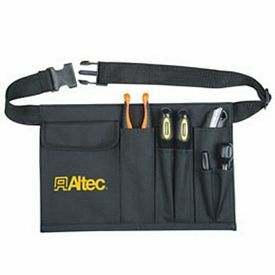 There are various pockets and sections that can hold different tools and keep them secure and intact. 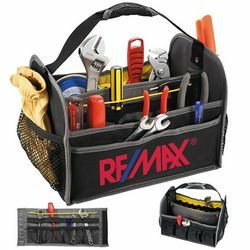 People involved in construction or all kinds of repair work are required to keep their tool sets with them and carry them around to their next job. All of their work depends upon those tools and they won’t be able to carry out any tasks without it. 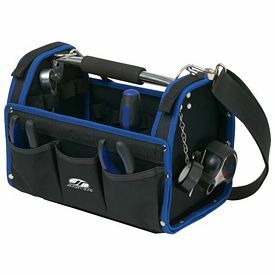 The customized tool bag will be very useful to them as this is one of their basic everyday requirements. Even if they have their own tool bags, they will store your for future use. 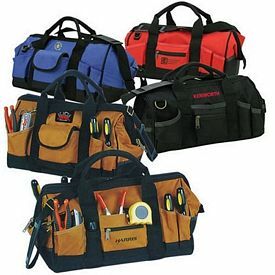 Supply them with well-crafted and durable custom tool bags that they can carry with pride. Customer satisfaction means everything in business and promotion. 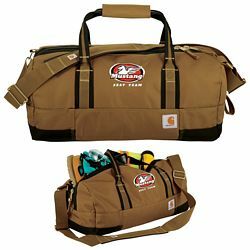 Customized large tool bags are appropriately sized because it’s not a problem if the tools are few, but it might be troublesome if there are a lot of tools. 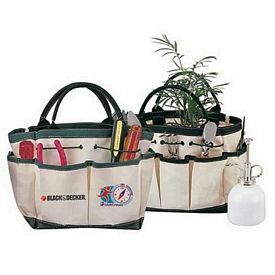 Promotional tool bags, with no setup fees, are affordable advertising tools that can please your potential customers. We offer fantastic saving rates and discounts, especially if you purchase in large quantities. 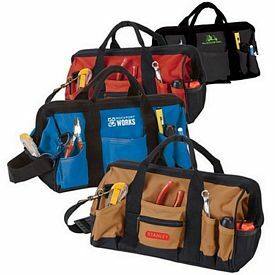 Browse through the online catalogs and order the branded tool bags you like. Automotive tools include all kinds of promotional products and tools that can help you form a complete and attractive advertising gift. 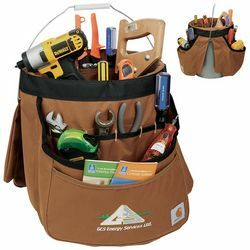 You can combine our logoed tool sets with the promo tool bags in order to maximize the satisfaction of your customers. 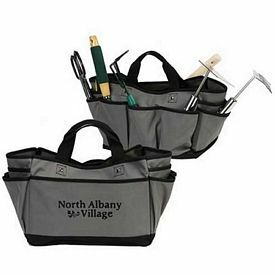 It will also be a nice gesture to include just one frequently used tool in the customized tool bags, in case your budget is low. 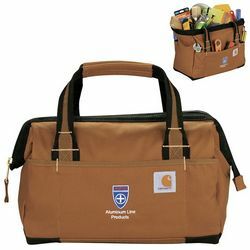 Imprinting your company information on the promotional tool bags should be done wisely. The key lies in providing the necessary details in a subtle and understated manner so that it does not appear out of the ordinary. People should be able to read the text and contact you if they want. 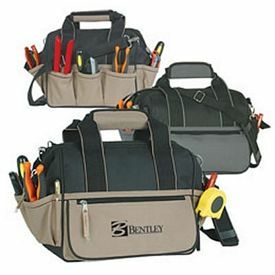 Some of our branded tool bags include Large and Small Polyester Tool Bags and a waist tool belt organizer.